CAN AN IMPERFECT PAIR RESULT IN A PERFECT MATCH? Eric Stewart can’t believe his sisters would stoop so low. 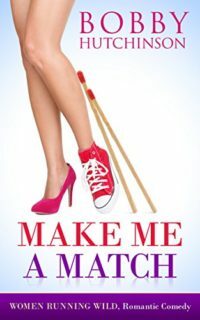 If you want a book that makes you laugh out loud–try MAKE ME A MATCH. At one point in my checkered past, I signed up with a dating service. The candidates I met were less than stellar—but the service itself fascinated me. I also knew a handsome, quirky guy who made his fortune collecting and selling junk. Who could resist putting the two together? The result is MAKE ME A MATCH.